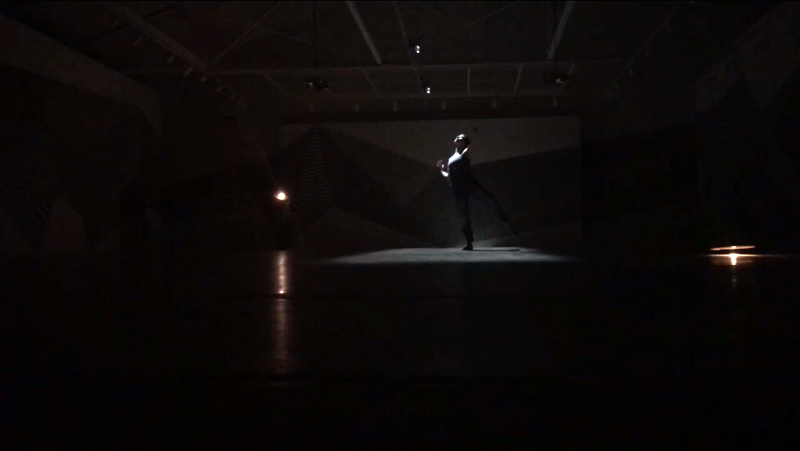 No 22 / Penumbra (2018) is a solo dance work by Justin Tornow, created in collaboration with Heather Gordon, with Gordon’s installation And Then The Sun Swallowed Me. By definition, penumbra is the space of partial illumination, where some or all of the light source is obscured. It is also described as falling into darkness. The experience modulates between light and dark, transparency and obscurity, visibility and invisibility. The lighting is designed and operated by Chris Fleming. Penumbra was developed in Fall 2018 in Germany, Amsterdam, and Finland, with major support and residency from TanzArt Altelier in Kirschau, Germany.